. . .th the charm and simplicity of his descriptions, have ensured the popularity of this book with all classes of readers—and that popularity has even increased in recent years. No attempt, however, has hitherto been made to produce an illustrated edition of this valuable work: numberless places and objects are mentioned and described, but the difficulty of obtaining authentic and original representations of them drawn for the purpose has never been overcome until now. Der Erfinder der Evolutionstheorie, Charles Darwin, tritt mit diesem Werk in die Fußstapfen seines großen Vorbilds, Alexander von Humboldt. 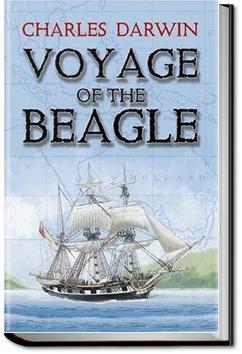 This book is Charles Darwin's journal of his 5-year voyage on the HMS Beagle. This journey marked the second of Captain Fitzroy and the Beagle but the first for 22-year-old Charles Darwin, who had decided to become a naturalist like Alexander von Humboldt.